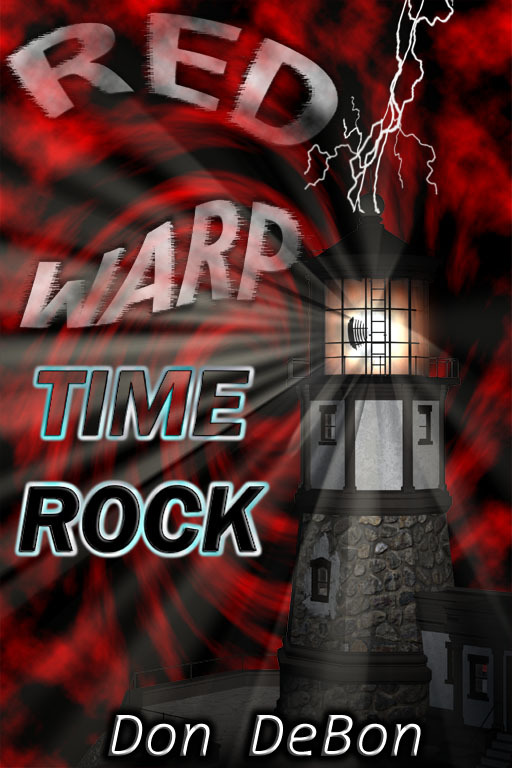 I am pleased to announce that Time Rock is finally released! It is currently available at Kindle, Nook, Kobo, Smashwords, iBooks, Scribd, and Overdrive. "Keleeigan!" Trisia shouted as she fell backward, pulled herself up, and fought to stay on her feet. "This is insane! Can you do anything?" "No! When I shoved us out last time we landed with enough force to rubber-band back into the warp, which I didn't think was possible. Just hang on. It should be all over in a minute, one way or the other." He said as the lighthouse shook and jerked this way and that. "Professor when you say 'come on over for a wild time' you sure don't kid around," Kim said. Keleeigan looked towards him. "I never said that!" Kim smiled. "Well you should have!" After a bit manhandling by the guards, James finally arrived at the center chamber of a large temple. In the middle of the large expanse a throne was placed and King Khafre sat upon it. "When I was told one of my nobles was visiting Giza, I became suspicious. Especially when it did not sound like anyone I knew. And now that I see you, I can say I do not know you. Who are you? And how dare you make false claims to be a noble of mine!" "This has all been a misunderstanding. I never said I was one of your nobles." "Then why do you wear the shendyt and cape of one!" "He is a thief!" A priest from the right side of Khafre stepped forward. "I know that cape! It is Manakhtuf's!" Khafre leaned forward and turned to face the man. "Ankef, are you sure?" Ankef lowered his eyes. "There can be no mistake my king, the cape was made special for him and sealed in his tomb. I should know, I was the one that sealed it!" Khafre's eyes flared. "Tomb raider! There is nothing worse than to steal from the dead and deny them pleasures in the afterlife! You shall die by morning in the way we punish all those that disturb the dead! Take him away and return Manakhtuf's cape to his tomb where he can make use of it!" Ankef bowed. "Of course my king." He then walked over to James and removed the cape from James' shoulders then spit in his face. "May the gods show you no mercy. I can assure you we won't." Several men marched forward grabbed James and moved him forcefully out of the temple. You may have heard that there is a new e-ink reader out by Barnes and Noble: the Glowlight Plus. While I spoke of this earlier, when the new nook tablet was released I thought that was it. Even with the information we had at hand, I didn't think another e-ink reader was going to be released. I am glad to be wrong in this case. It is the first reader by B&N to be fully waterproof. You can take the device into the shower or beach without worry. While the software is a little lacking compared to previous devices, and it does not have a micro SD card slot (a deal breaker for me as 3.2gb internal is too small) it is a decent device. One very redeeming quality: it is fairly easy to install your own android apps. Not as easy as you would want, but if you know your way around the Android adb command line interface (also called Android Desktop/Studio or Android Debug Bridge) you can install any apps you like. The Glowlight Plus has Android 4.4 so most anything should run. Although I wouldn't suggest graphic intensive games. But alternate readers, file mangers, launchers, etc should be fine. The USB Debugging menu (needed for this procedure) is there, if a bit hidden. First you open the settings menu and on the second page you open the "Software" menu. Tap the "Software Version" option three times. Scroll down the screen until you see the option for "Development Options" tap that and when you get a menu for "USB debugging" check that to turn it on. Then you connect the Nook via USB, fire up ADB on your desktop, and you are off and running. The command line interface (CLI) is a bit harder than point and click, but all the instructions come with the program. Essentially all you need to do is have the app files (apk) in the same folder as ADB and you install it by typing in the command window adb install nameofpackage.apk. It is not as hard as it looks. But if you need help head on over to XDA Forums for more details. I haven't done this specifically with the Glowlight Plus, but I have with other Android devices. As I said, it sounds a lot harder than it is. UPDATE: CEO of Smashwords Mark Coker has confirmed that Oyster was bought by Google and that the shutdown won't be fast. The service will continue to run until early 2016, no exact date has been determined as of yet. Oyster the service that was poised to be the pearl of the eBook subscription model (all the books you want for $9.95 a month) closed its shell today. I wrote about then shortly after they opened. At the time they were the first on the scene, with Scribd right behind them. While they only supported iOS I figured it was only a matter of time before that was expanded (support for Android was added, eventually). Scribd by contrast had support for iOS and Android at the start. This announcement comes only a few months after Scribd ran into problems and had to scale back its catalogue of romance titles or risk going out of business. It is very difficult to balance giving a all-you-can-eat smorgasbord of books to the customer, while not loosing your shirt in the process. But this closure signals a possible end to the subscription model, or at the very least hands it over to Amazon. They are the only company left in good financial standing that can weather out this unknown business model with ease. Details are vague as to what exactly happened at Oyster. There are rumors they were purchased, and are being quietly shut down as a result. Re/code says most of the team is transferring to Google. And while Google is not saying they purchased the company, but rather is paying for the right to hire some of its staff. But at 17 million, that is a high price to pay unless you have some big plans for the team. I am guessing, and it is only a guess, that you will see some sort of monthly subscription plan show up on Google Books in the near future. I have seen a lot of discussion and comments over the past few months about a app called Clean Reader. What is it? Well if you haven't heard, Clean Reader is a app for Android and iOS that hides profane or otherwise "questionable" words from a book you are reading. It has several settings and you have a choice of simply hiding the words or replacing them with cleaner equivalents. Many people are shouting censorship and it should be illegal. Well technically it is censorship yes, however it is on a per reader aspect. The reader themselves decides if they want to use this app or not on a book they purchased, and then further choose to what level of editing to take place. But it is not truly editing a work or otherwise changing the work, it is only done "on the fly". The original file is never changed. Nor are the edits ever saved in anyway, making it impossible for the edited version to be shared. This is why I do not understand the controversy. 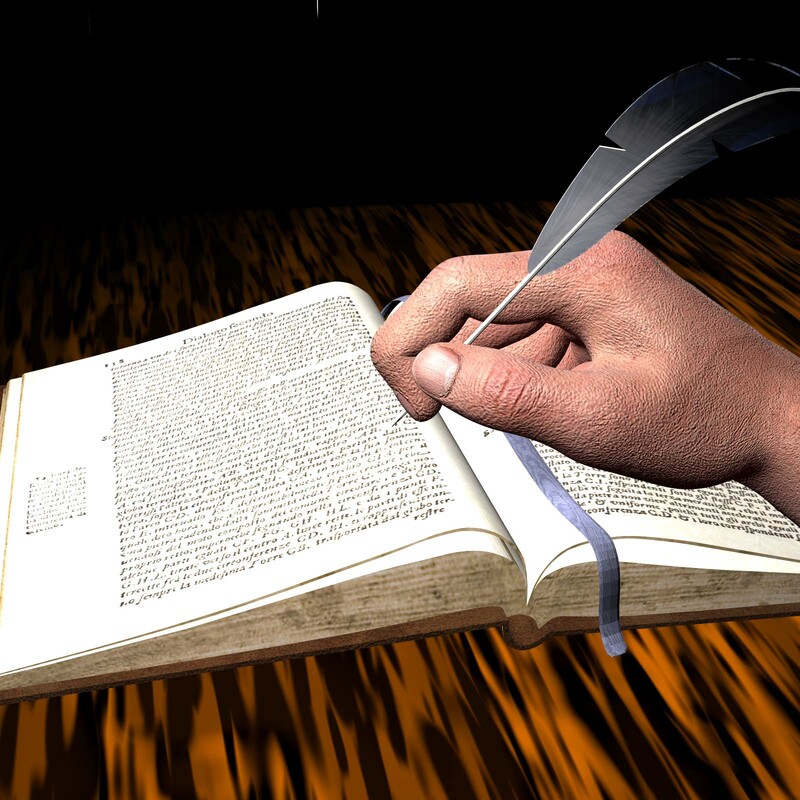 Many people do not care to read profane or otherwise harsh language. It can ruin the book for them (depending on the language and how prevalent). Some authors may be shouting from the rafters against the app, but think about this: if your book contains language that people feel offensive, they may actually read it with this app. You just made a sale where you wouldn't have before. 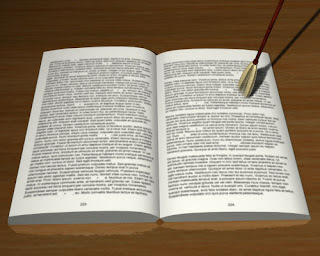 Years ago I use to do this kind of "clean up" on books with a word processor via search and replace. It didn't take very long to make the changes and put it back on my PDA for reading. Some books I wouldn't have bothered reading without these changes, but it was a wonderful story with the careful word substitution. Nowadays, I just do not have the time to edit books like that. Some authors feel the need to use profane language in every single paragraph to make a point. Personally I think it is excessive, but this is, of course, up to the author. But it limits who will like the book as well. If you can reach a larger audience, why not? And your book is still there in all its original glory should someone wish to read it. Something else to consider: many Television broadcasts are edited and toned down a bit for a wider audience reach (often where kids are in the audience for example). To my knowledge this has not been fought over. In fact I remember the large issue that happened years ago with Janet Jackson's "wardrobe malfunction." People were very angry that this was even allowed to happen, and were demanding censorship. Television broadcasts of box office movies are always known to be edited, either for content or time allotment. And if you want the full thing, go buy the movie. So again we have a instance of editing that most people don't have any problem with. How is Clean Reader any different? 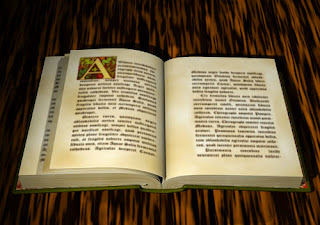 Except that now the reader has the power to choose the way the book is read, instead of simply choosing to read it or not. The New York Times Has It Wrong: It is Plagiarism not Piracy! In the past few weeks and months there have been many stories about people uploading books they did not write to Google Play Books and selling them. But what is a Pirate? I have often spoken about piracy here, but what is it really? A person or organization that illegally makes television or radio broadcasts"
So by that definition, yes the New York Times is, technically, correct. However I would like to suggest that the term "Plagiarism" fits better. There are different kinds of pirates. And sometimes it is hard to distinguish. One can become a 'pirate' (at least in some minds) by removing the encryption or protection from a eBook you legally purchased. Laws among different countries vary on this, some allow it, some do not. Then there is the common understanding when it comes to piracy: downloading a book you did not purchase. One I am certainly against. But there are grey areas as well. For example if a book is out-of-print and you are not hurting the author/publisher then I do not, personally, see a problem. Some disagree but again if it is not worth it to the author/publisher to have it available then they really should not care if it is downloadable somewhere either. And on the flip side this might have a good consequence: the author staying in the mind of the public. And perhaps if there is enough demand, the author/publisher will rerelease the book (and if they do, always go buy a copy). And finally there is the really really bad pirate. The one that this post is about. The lousy scum-of-the-universe type. 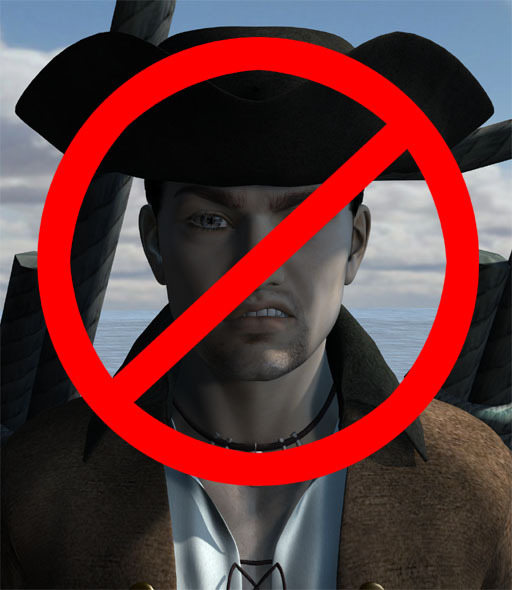 This is the pirate that takes a ebook they have downloaded, uploads it to a retailer as though it was their own work, and collects the royalties. This is the worst kind and the hurts the author in many ways. Even if we don't mention the stealing of royalties that should be paid to the author, often the pirated books are not of reliable quality. Damaging the authors reputation. And in publishing, a reputation is the most valuable asset one can have. Long before there were computers and technology, there has been plagiarism. Not only in literature but also art. Piracy usually means to steal and consume. Not steal and resell as though you created it. There are chop shops that steal and resell car parts, but they are not called car pirates. Everyone knows about downloading piracy but this new kind of uploading a work that you didn't write? Well that is just plagiarism plain and simple. A Glimer of Hope For Nook? Things have not been looking good for Barns and Noble's Nook platform. Between site problems, devices not selling well, closing the Nook international stores, and continual bad policy decisions (removal of direct download ability of books for example) it just keeps going from bad to worse. However they haven't throw in the towel yet. A new e-ink device is on the horizon. The FCC has recently approved a new Nook device, and while most of the details are unknown, we do know it is model BNRV510, manufactured by NETRONIX, has Wi-Fi and a Li-ion 3.7Vdc,1500 mAh battery. B&N is planning a store "refresh" September 3rd, this may or may reveal the new device. However being that they do have several cases listed in their store (although without images or descriptions) it can't be much longer before the device is announced. With this new development, I would guess that B&N is planning on keeping Nook going until at least after the Christmas season. I think Nook Christmas sales numbers will either make or break the platform this year. Regardless I still advise baking up your libraries with Nook for PC (google for it) and if you wish to ensure you can read your books in the far future, remove the DRM with Apprentice Alf's tools (google for it) via Calibre. Years I ago I bought the first Nook, or the Nook First Edition as they call it now. Great little device and is, in fact, still my favorite e-Reader. Granted I did root it and installed a few extra apps at one point so that I could do better searches in my sizable library, but other than that I have no complaints. Sadly the situation with Nook has been degrading for some time. 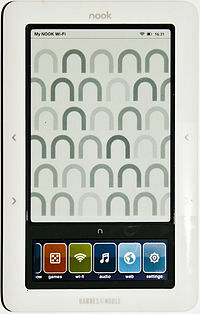 As I posted previously, Barnes and Noble shut down the Nook internationally on August 7th with the exception of UK. Up until then you could download the Nook app in iOS or Android to purchase or read Nook books. Well here is the new wrinkle: they have apparently shut down the UK book store as well. A man by the name of Hisham El-Far discovered on August 11th that he could no longer access his Nook library. Every time he tried to use the Nook app, it popped up a message saying "Effective August 7th 2015 the Nook App for windows is no longer available outside the United States..."
@HishamElfar We are no longer accepting MS Wallet as payment method, you may need to update your payment information on your NOOK account. When he stated that signing out and back in and he didn't use MS Wallet with Nook they didn't respond. So what is even worse, they didn't tell their own employees about the shutdown. Now perhaps this is a glitch, but if so why wouldn't the error message mention UK instead only the United States? While I still love my Nook devices I suspect that Barnes and Noble will pull the plug soon. Therefore I suggest everyone download their books using Nook for PC or NookStudy (Google for them) or risk loosing all of your purchased content. If you wish to make sure you can use the books you purchased elsewhere should the Nook be shut down, get Calibre (the free digital library system) and apprentice alf's plugin (Google for it) to remove the encryption/DRM. I also suggest to do this sooner than later. While I am very much against piracy, this is protection of ones legally purchased assets, nothing more. Can Humans Trust Robots? Better Question Can Robots Trust Humans? The question has always been can humans trust robots. But a group of Canadian researchers asked "Can robots trust humans?" Sadly this has been answered with a resounding no. The premise was simple: Create a non-mobile robot that depended on the generosity of others to move around with the idea to get the bot from one side of the country to another. Dubbed HitchBot, last year the bot made the trek across Canada and parts of Europe. 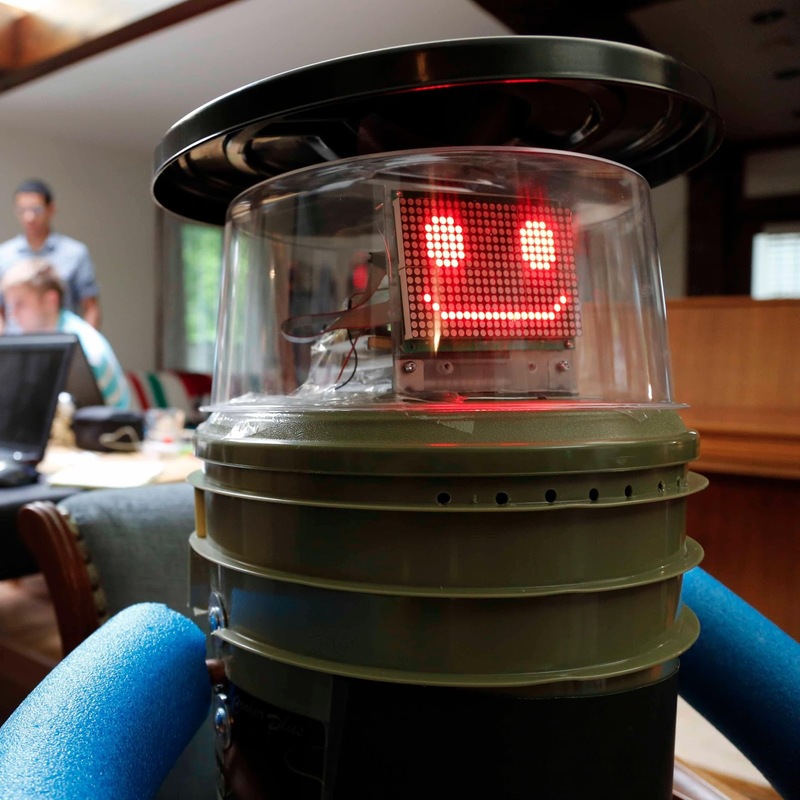 This year HitchBot's goal was to get across the USA. It was well on its way visiting several states, went out to sea one day, and visited a baseball game another. Sadly his tour met with a disastrous end when two weeks into his visit he met up with the wrong crowd in Philadelphia. Details are still coming in but it would appear that someone wanted to wipe the smile off of the robots face, for no good reason other than 'it was there'. It sure doesn't make this country look like a nice place to be when HitchBot went though Canada, Netherlands, and Germany without any issue. Upon reading about this pointless destruction I am reminded of so many sci-fi stories written where humans were wary of trusting robots. Then in more recent years stories about robots 'getting the shaft' from humans, and taking their revenge. One of the more famous examples would be The Matrix where the robots had conquered the world and plugged humans into a simulation so they could harvest their radiated energy. It is scary to think that one day robots might take their revenge. But this incident makes one think it is only a matter of time for the simple reason that some people think it is fun to be cruel, and when the robots are able to emulate and react...look out. It just boggles my mind. As I am sure you have all ready heard, Leonard Nimoy passed away yesterday due to complications from COPD. A unique actor best known for portraying Mr. Spock on Star Trek. He certainly left a mark upon me as when I was young. 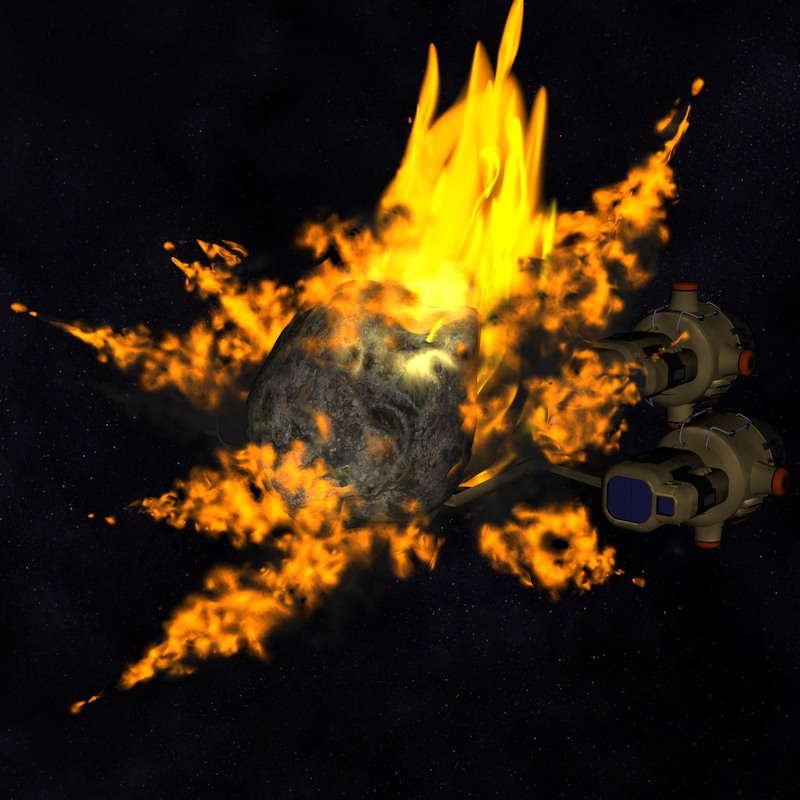 Star Trek was one of three science fiction shows regularly broadcast on a local independent station (Buck Rogers and Battlestar Galactica being the other two). I identified with the character Spock more than the others not only due to intelligence and interest in science but also his ability to control emotions. There were (and still are) many times when I wished I could control my emotions as well as Mr. Spock. While I wouldn't want to suppress all emotions as his character did, the control certainly would be an advantage. I also could identify with his Mr Spock being the alien, or odd man out. So often as a child, I was the one that didn't fit in, being the one trying to figure out all these illogical persons. Now while I am certainly human, I am what has often been called an old soul, or aged beyond my years. This made it difficult to understand other children, very similar to Mr Spock's situation on the Enterprise who also bore the brunt of the jokes. So again this character had a strong influence on me. And in fact my love of Science Fiction started with Star Trek. Nimoy's other work was quite varied and even included poetry. Something I did not know until recently. But I think his most unique aspect was his voice. It is so distinctive, even more than his acting. His voice with its special tone and inflections always left one wanting to hear more. This gave a special touch to any audio work including everything from documentaries to animation to video games. Try to think of Transformer's Sentinel Prime with any other voice than Nimoy's, it just doesn't work. He maybe gone, but his legacy will live on. 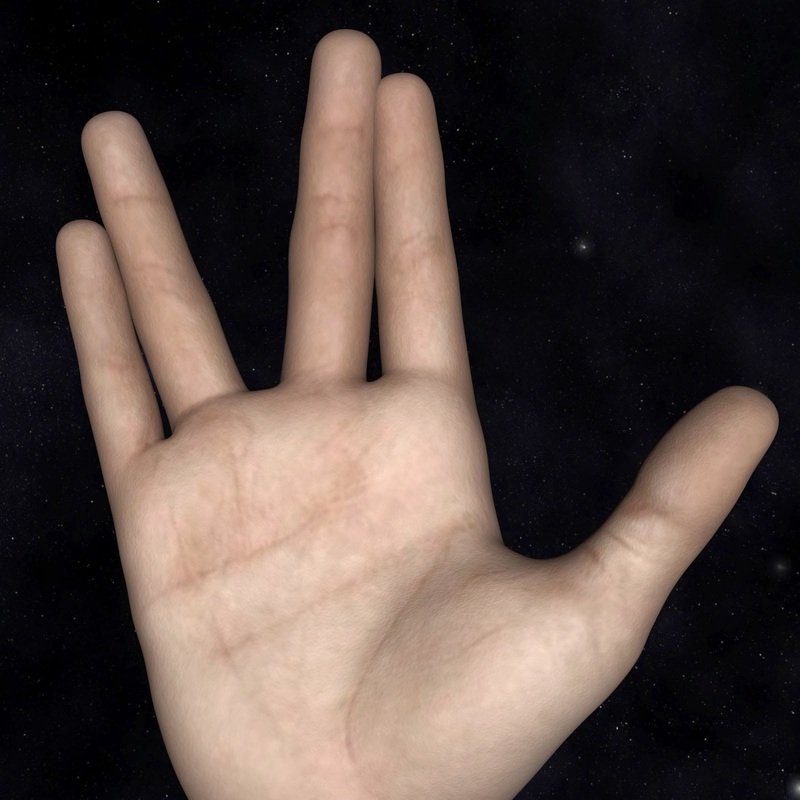 Rest in peace Mr. Nimoy. I only wish I could have shook your hand. 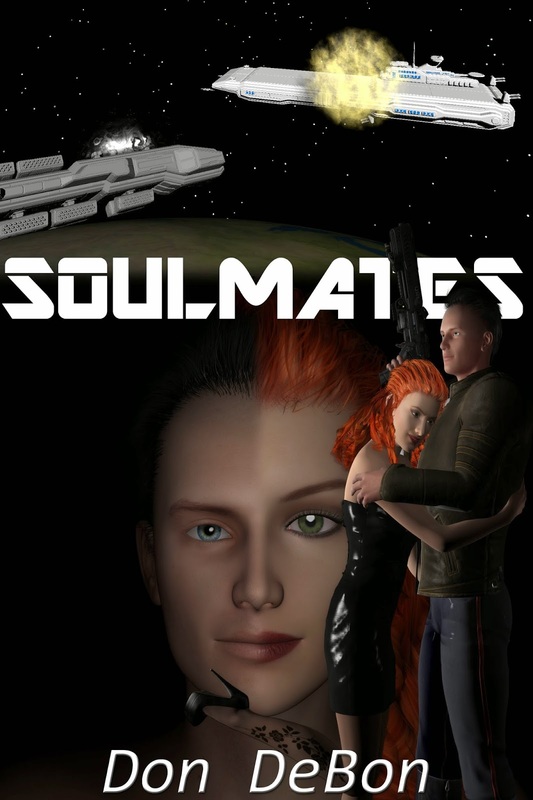 It has been a very long road but Soulmates is finally available in print at Amazon.com with other distribution channels following soon! Also stay tuned for a detailed post regarding the long journey into print, and the many pitfalls that happened along the way. 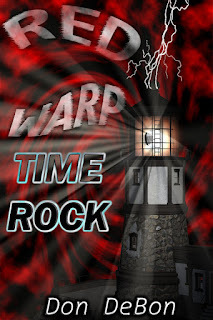 My next book is progressing well and I am at a point where I am confident to release its name...it is called Red Warp: Time Rock. As you can imagine it is a sequel to my earlier book Red Warp. In honor of this, Red Warp is now on sale at iBooks, Kobo, Nook, Kindle, Scribd, Oyster, and Smashwords! for only .99 cents! This limited time offer ends on March 3rd, if you have been thinking about adding this wonderful title to your library, grab your copy now! Should Young Adult be renamed to Early Adult? I recently came across a article discussing the idea that perhaps the Young Adult (YA) category should be changed. Should it? I tend to think so. To me the name always sounded like it was geared towards teens and younger audiences. While the genre is often defined as teen to early 20's, according to to Erik Erikson's stages of human development, it is generally a person in the age range of 20 to 40. When one hears the name "Young Adult" what picture is generated in your mind? I suspect it is of when you were in school or perhaps, just about ready to graduate. Certainly not something that someone in their 20's or 30's would want to read. Yet many books are written within the category for people of that age. I have been giving it some thought, and how about Early Adult (EA)? That (to my ears anyway) sounds like something that would cover a much broader range of audiences. Teens would like the sound it as it sounds older to them, and those in their 20's or 30's wouldn't consider it a "kids book". To be honest, I am surprised that anyone would come up with the name "Young Adult" for the range that it covers, not mention there already is a "Teen Fiction" category. It just doesn't fit. Early Adult certainly does a better job. You want something simple for the reader to understand, not more complex. Leave Teen Fiction for the teens and have Early Adult for the novels that fit anyone from teen to someone into their 30's and beyond.